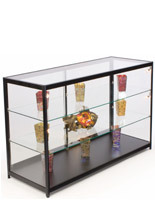 This showcase counter with LED spotlights will complement your store perfectly! 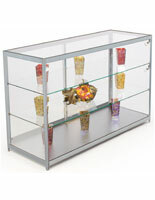 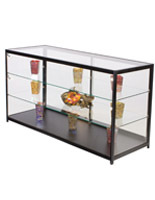 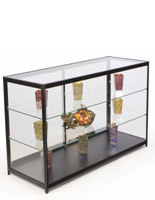 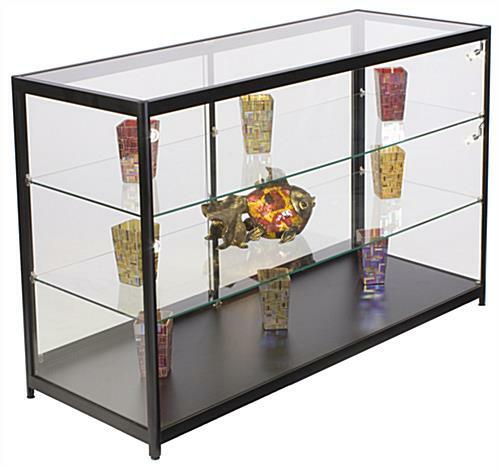 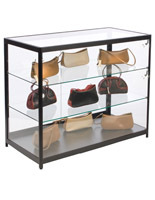 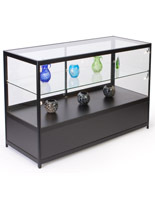 The display case is ideal for spotlighting collectibles, artifacts, jewelry, or expensive purses. 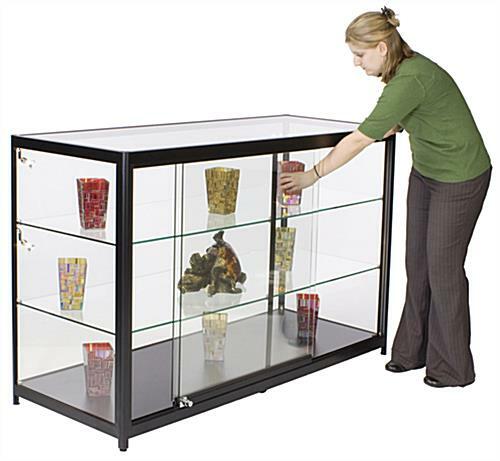 The glass showcase counter includes 2 adjustable tempered glass shelves that offer plenty of room for large items. 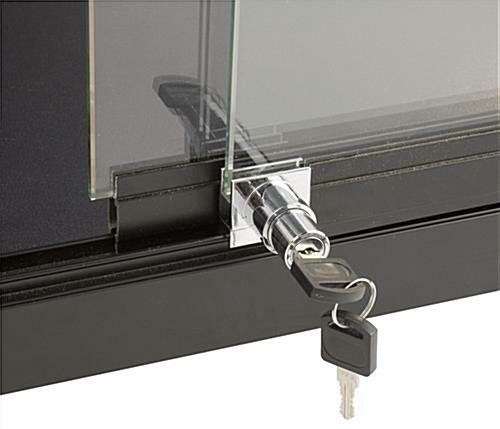 Keeping your jewelry or other high priced items safe is as easy as locking up the sliding doors and putting away the key. 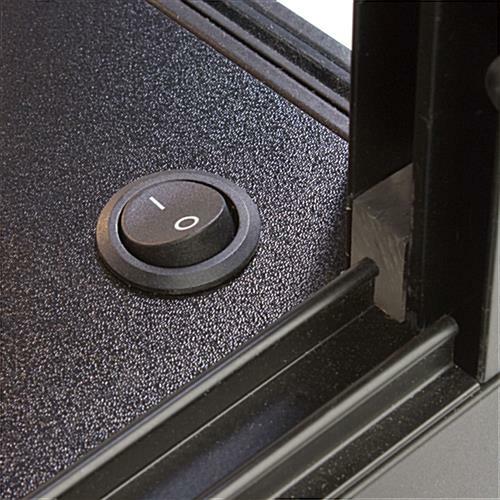 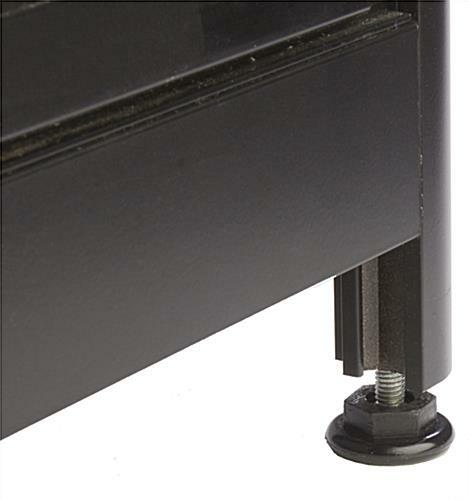 Align your showcase counter evenly on the floor with the foot levelers located on the bottom of the unit. 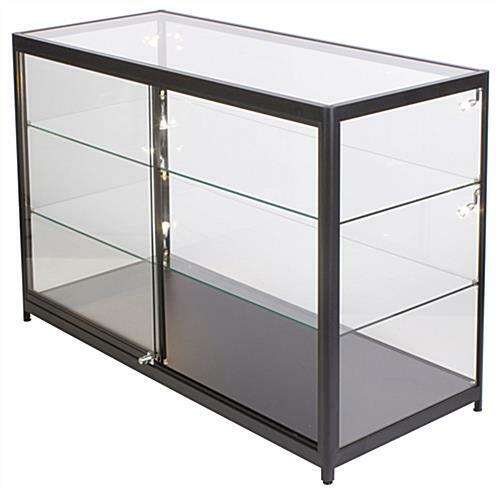 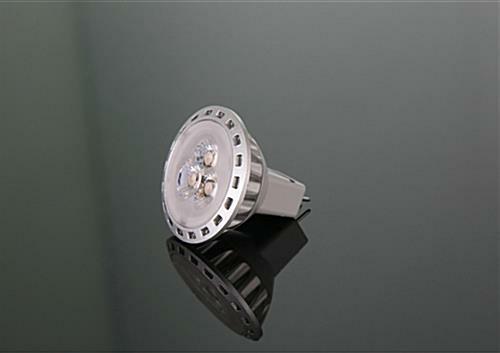 Show off your jewelry by placing it on the glass shelving and utilizing the eco-friendly bulbs for an energy efficient display case.